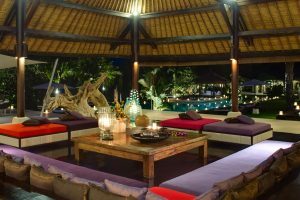 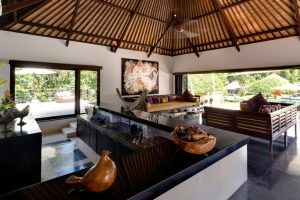 The main split level, open-sided living and dining pavilion comfortably accomodates 14 guests accompanied by another air conditioned lounge bar and entertainment room. 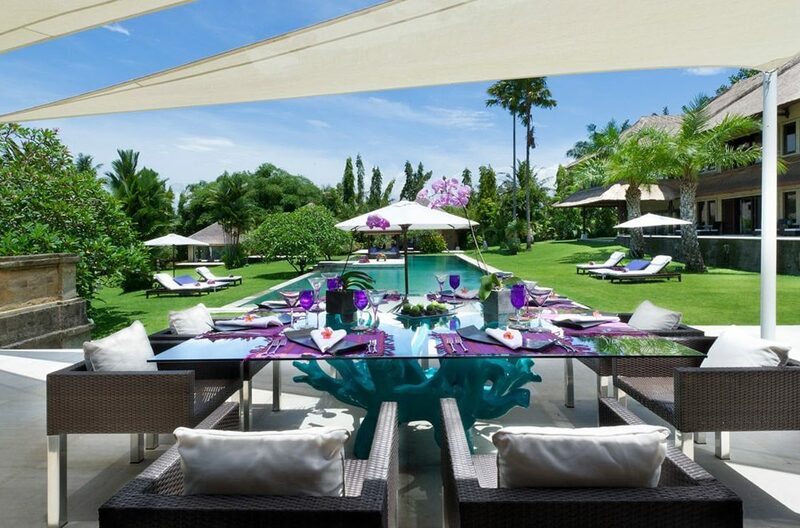 An outdoor dining/BBQ area facilitates 8 guests. 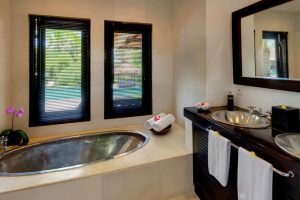 Entertainment features Bose music system in bar and garden areas; projector screen in bar area; 40-inch TV in both master suites, and 32-inch TVs in all other bedrooms with DVD players and stereo system. 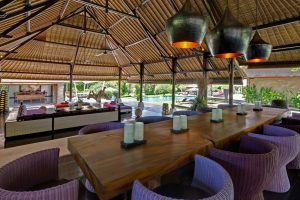 The 30mtr pool is surrounded by lush grren lawns and sun lounges and at one end is a shaded dining area where guests can enjoy a pool side lunch. 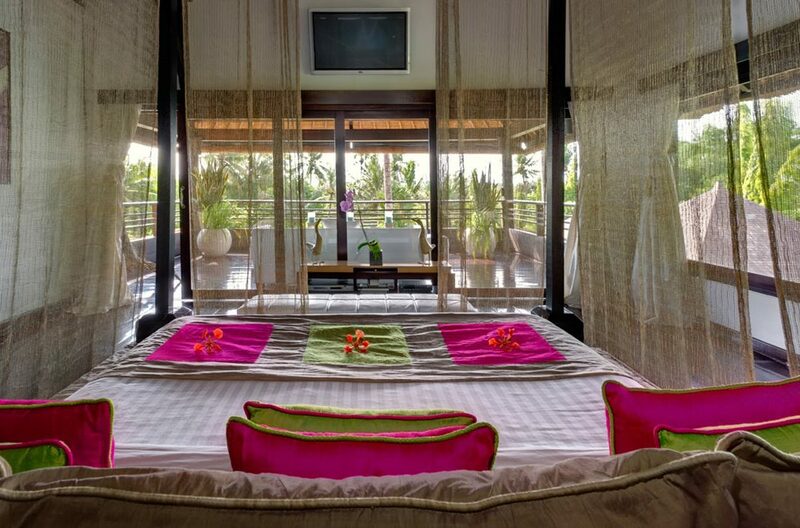 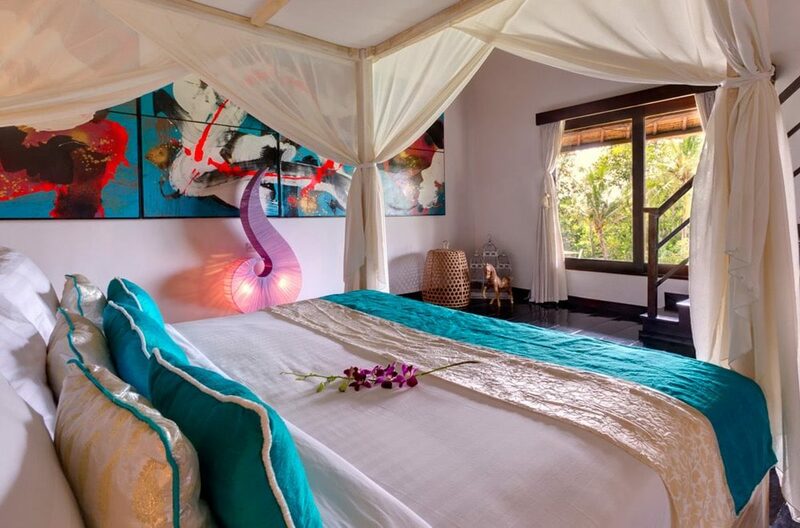 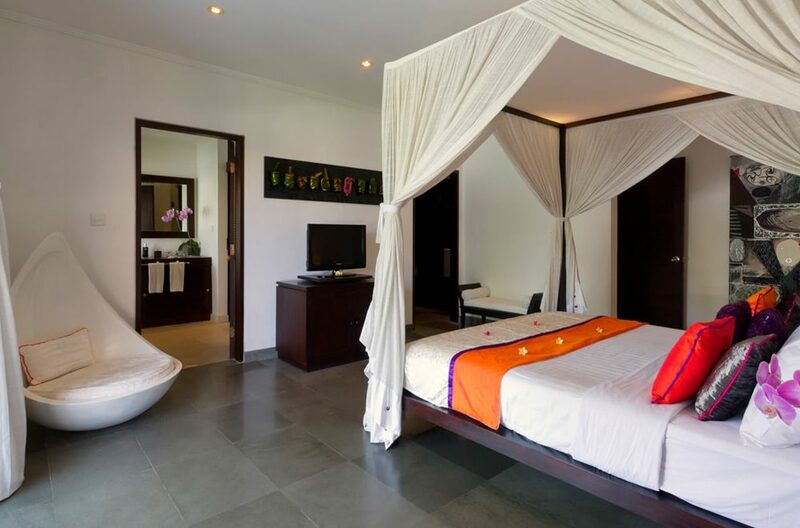 The bedrooms are bright and spacious with king size beds and twins offering four poster beds and mosquito nets. 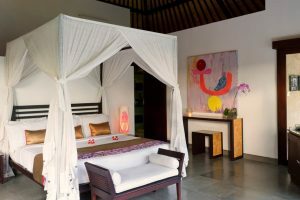 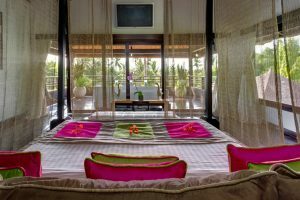 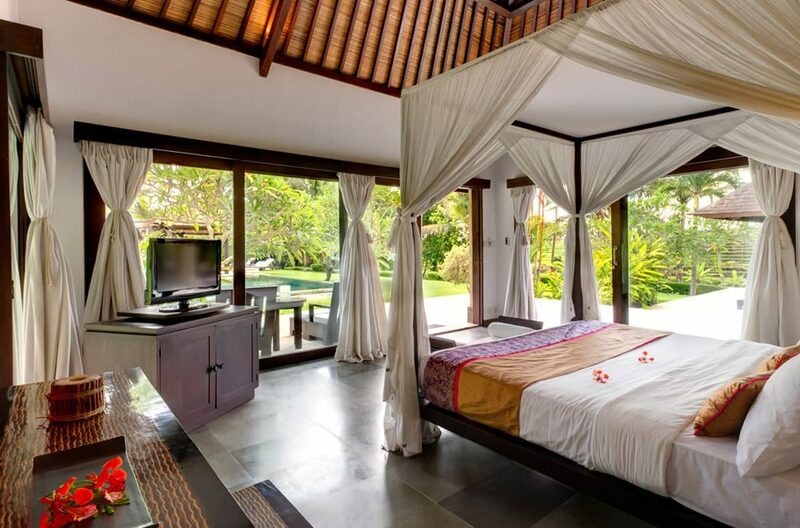 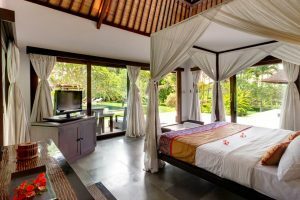 The villa can sleep atleast 14 guests comprising 2 master suites with king beds and 3 queen beded pavilions and another room offers twin beds. 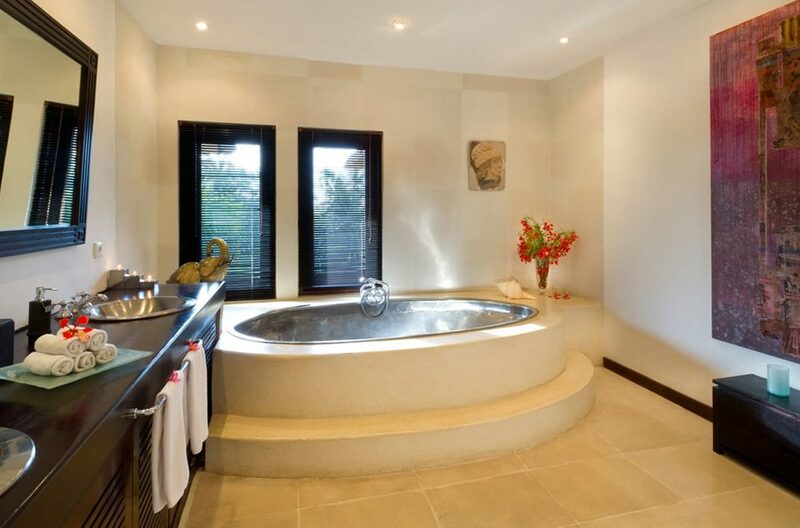 En-suite bathrooms offer a selection of built in bathtubs and rain showers. 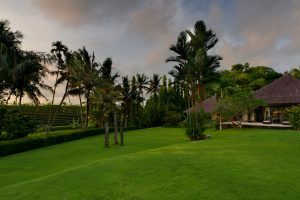 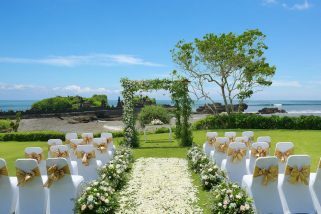 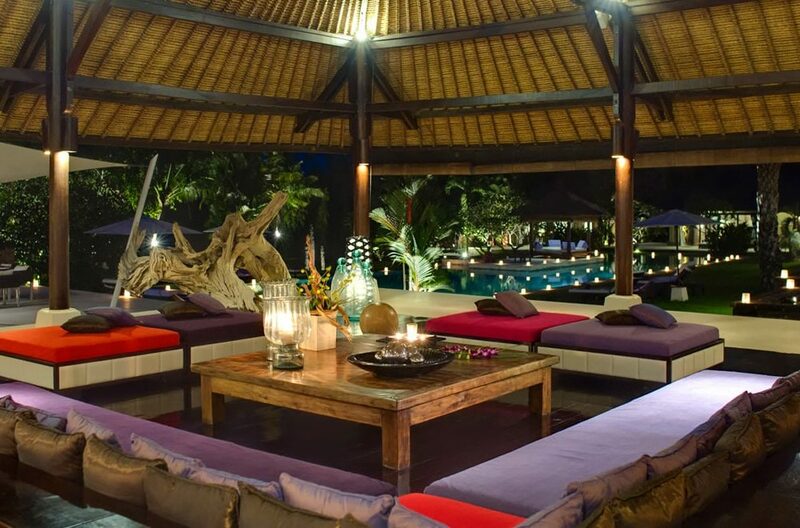 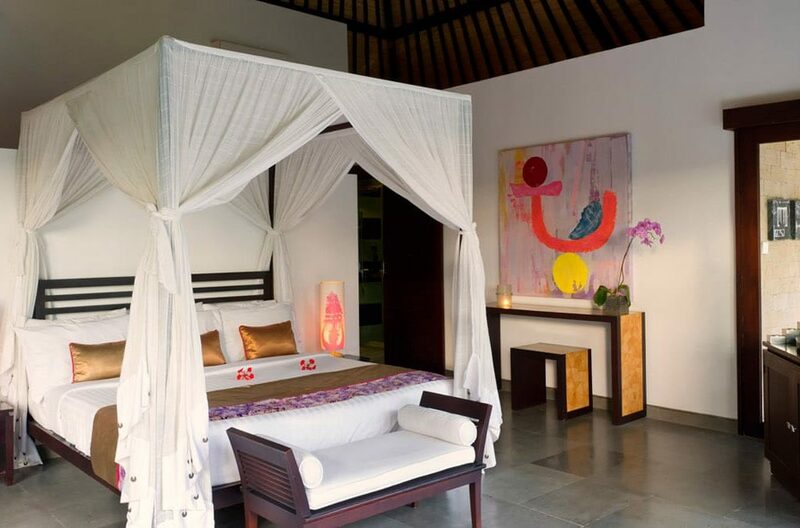 At Villa Chalina Estate you will be served by a warm, friendly and professional team of staff who are all ready to make your holiday in Bali the perfect getaway experience. 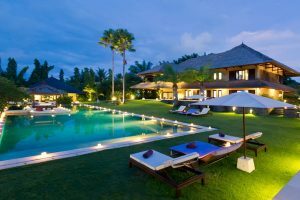 Staff & Services include Villa manager; 4 housekeepers; chef; gardener/pool attendant; night-time security guard. 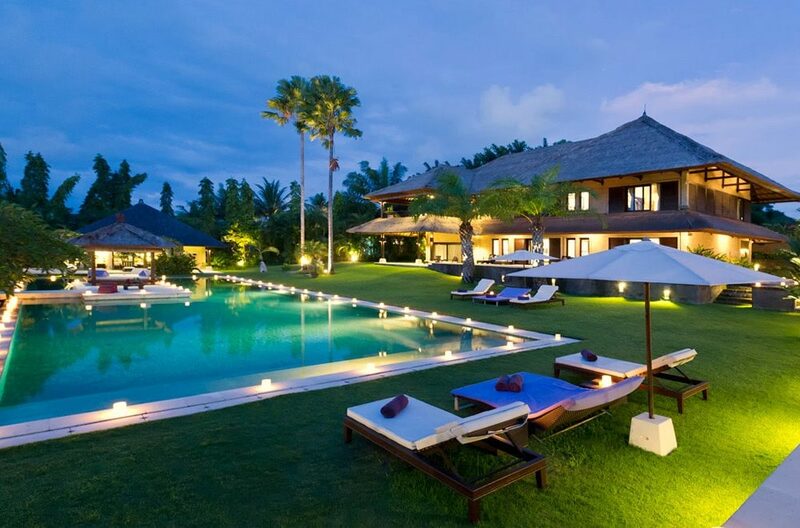 Masseuse and babysitter on request. 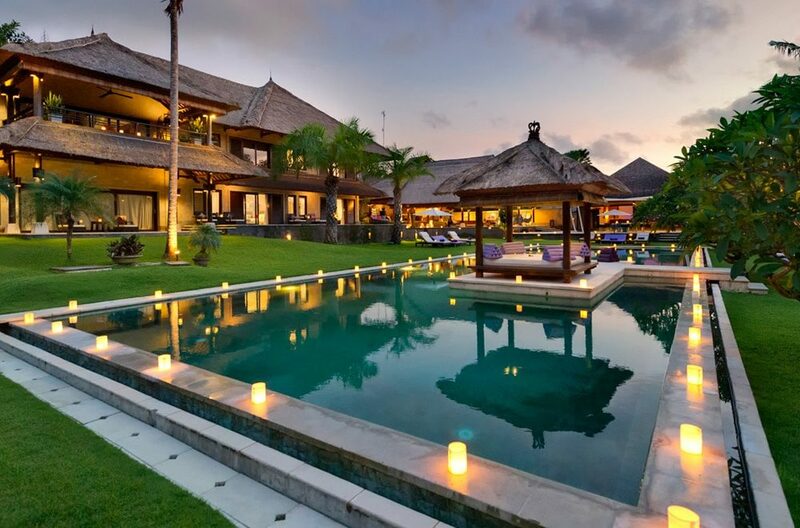 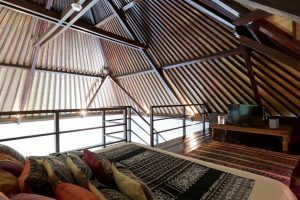 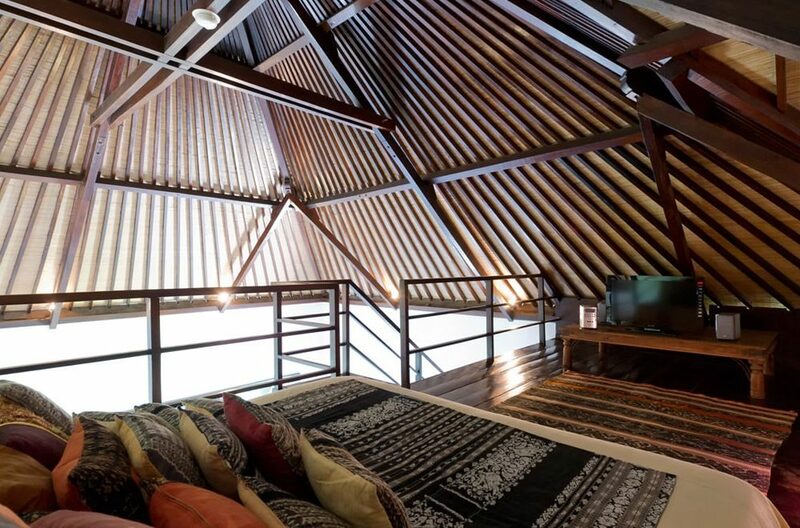 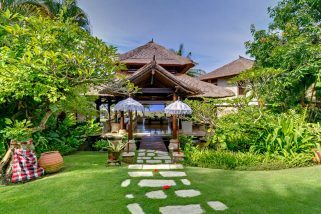 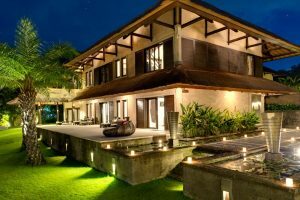 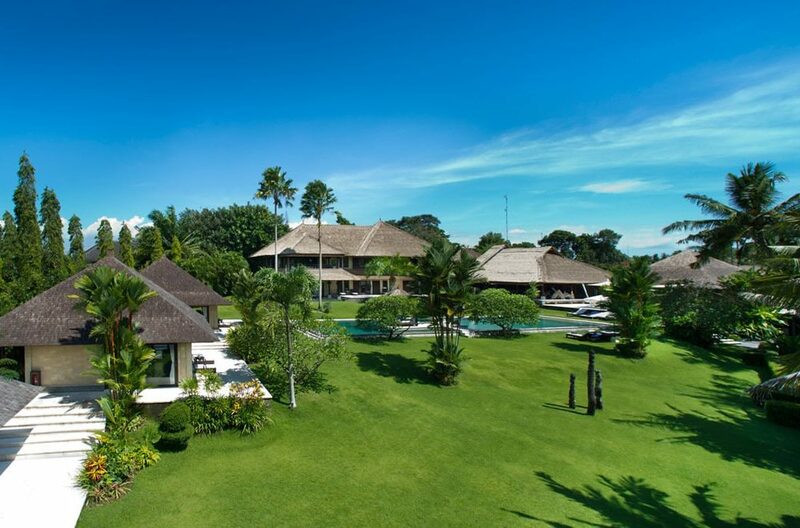 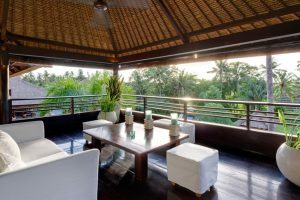 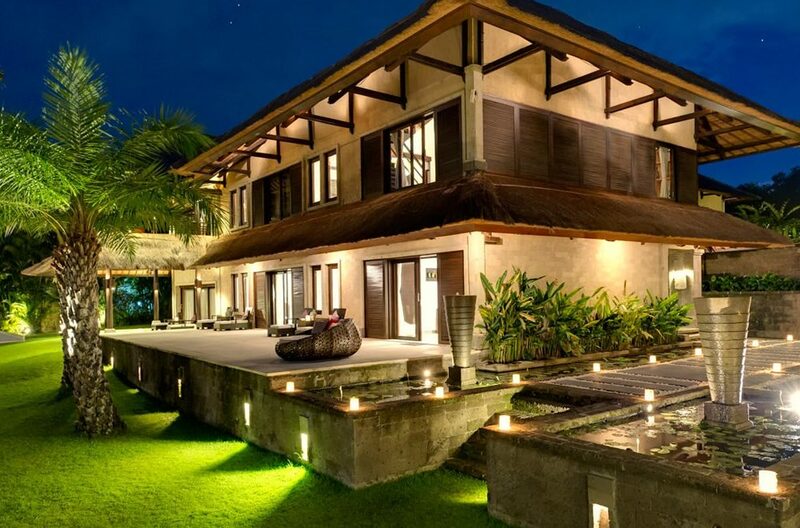 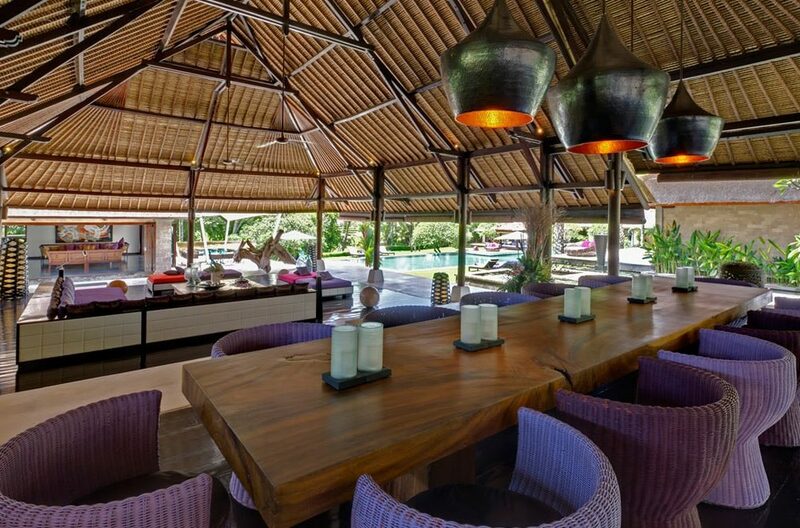 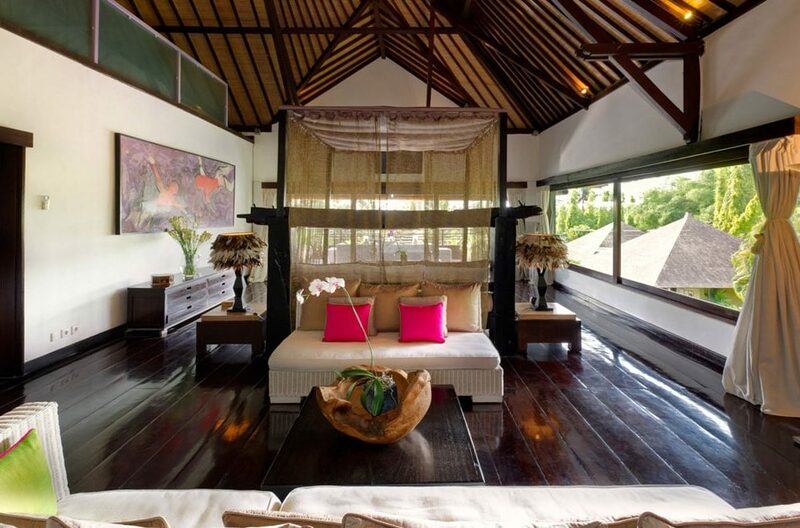 Villa Sungai Tinggi has been designed to optimize its extraordinary beachfront setting and ocean views. 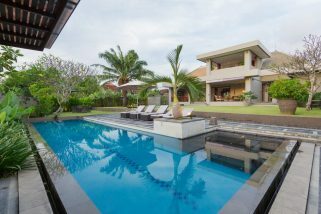 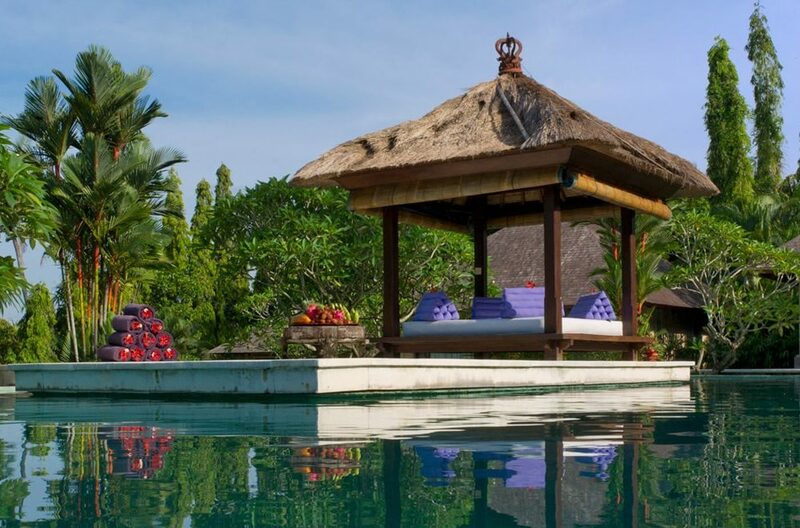 Villa Uma is certainly one of our more popular three bedroom villas for many reasons, but one main reason is no doubt the huge 1000 sq meter parcel of land this wonderful three bedroom holiday villa sits on.